Mum is back in hospital - another hospital even further from home than the last one - for a slightly prolonged stay. But she will be home soon, and there is very positive news on the horizon once this 'complication' is sorted out. That's all I will say just now: I won't be posting too much on here over the next week (although might do the odd post over at Planet Salem) and I can't really say when 'normal service' will resume on this blog: recent weeks have been a bit turbulent to say the least, and the coming weeks are also going to be quite busy (oh, and the Olympics will be starting next week too....) anyway I really need to get my time management in order, pronto!! I'll be back on here at the weekend with some retro goodies as usual and possibly a review of this week's Allsång. Now though....I need to get some sleep!!! Allsång 2008: what's gone wrong? According to this week's Swedish press, "Allsång på Skansen" is going through a crisis, and this week's show had the lowest viewing figures since 1996. Why? Well, IMHO, this summer's series started quite well but over the last couple of weeks the line-up has been below-par to say the least, and if Balkan party band Andra Generationen of "Kebabpizza" fame was the best they could get to headline the show this week, then the mighty have indeed fallen. Don't even start me on that Harrysson bloke or Vocal Six, who have already committed a crime in my book for singing acappella which I can’t stand anyway, and I thought their Tom Jones medley was unspeakably bad. Of course if truth be told I only watch Allsång for the current/recent pop stuff anyway, and therefore I was very keen to see Adam Tensta. He did "My Cool" which at least woke up the crowd after a first twenty minutes which quite frankly would have sent anyone to sleep. Likewise Veronica Maggio (pictured above, photo courtesy of Aftonbladet) was also a welcome sight, and performed "Måndagsbarn" very well even if at times she looked a little uncomfortable and out of place in this particular environment. At the end of the day Allsång is a variety show, but I've felt on occasions during this series that the 'modern' element - the current/recent pop hits, haven't always fitted in well with the more old-fashioned parts of the show - the uniquely Swedish cosy little singalongs and comedy interludes.. Host Anders Lundin is still very good though, and it's not his fault if he's stuck with a substandard line-up of guests. When it’s on form, Allsång is great: but last week and this week's shows were very poor. Hopefully the show will redeem itself in its final two weeks, and at least we have BWO to look forward to on Tuesday. I'm really on a French vibe tonight: maybe it's because it's only 7 weeks till I'm back in Nice...! If you ever go to France on holiday and take the radio with you, you are guaranteed to hear "A Nos Actes Manques" by Fredericks Goldman Jones. This was a 'supergroup' formed by Jean-Jacques Goldman, Michael Jones and the late Carole Fredericks. This catchy Afro-themed song has become legendary in France! This clip is from The Chart Show, a long lost treat from Saturday morning television....! I don't really know what happened to them, apart from reading somewhere that Eg had become an in-demand songwriter and most notably had written Will Young's brilliant "Leave Right Now". He's also been involved with Will's new album, which will be released soon. I was just listening to "Up On The Hill" by Fun Lovin' Criminals which gives a nice little lyrical nod to 1970s bluesy-jazzy American singer-songwriter Boz Scaggs. So what better reason than to feature him tonight? As I've got rather a lot of catching up to do at the moment - just minor stuff which doesn't matter in the bigger picture, but time-consuming nonetheless - it's left little time to blog so I won't really be around here much over the next week or so. Expect a few posts on Saturday night - goes without saying! - and normal service should resume around the beginning of August when a couple of other things are resolved (can't go into details, but fingers and everything else crossed). A real early 80s New Romantic era obscurity, but one that I still love today. I don't know who Loz Netto is/was, but I taped "Fade Away" off the radio and played it for years. Thanks to good old YouTube, it's wonderful to know that there is someone else out there who remembers him. Here's "Fade Away" - enjoy! Apologies folks but I am really reliving my youth this evening!!! 1981 again, and this time it's the Original Mirrors whose line-up features a certain Mr Ian Broudie of Lightning Seeds fame. I always liked the drum-driven singalong of "Dancing With The Rebels" - don't you think it sounds just a little bit like the Skids? Today I purchased a pair of this season's must-have (but increasingly hard to find) 'gladiator sandals', for the sum of 20 quid. I was therefore cheered to see an almost matching pair on "Gok's Fashion Fix" (Channel 4, Thursdays - repeated Saturdays) for the sum of £425.00. 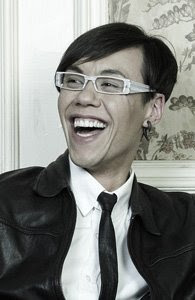 Gok made his name on being an endearingly-camp stylist whose mission was to make women feel good about themselves; now he's trying every week to prove what we already know - that the high street can rival the overpriced designer tat anyday. Mr Wan became famous for his eyewear, so appropriately he's now endorsing glasses in Specsavers, which coincidentally will be my next port of call in the coming weeks for a long-overdue eye test, and a good excuse for some new glasses which I've already chosen. Which, ironically, are overpriced designer tat!! I shouldn't really be discussing "Who Dares Sings" (ITV, Saturdays) as I've missed it over the last couple of weeks due to much-documented personal stuff, but all I'll say is that there is a good karaoke game show waiting to be made, but this is not it. You can tell it's "summer" in TV land, even if the weather outside suggests otherwise. I was totally underwhelmed by the little I saw of "Last Choir Standing" (BBC-1, Saturdays) because they've gone down the old sob-story route and it hasn't followed the 'hometown star' format of its Swedish version "Körslaget" which managed to drag the show out of the ordinary. And Myleene Klass is on it...how many shows is she presenting now? "Greek" (BBC-3, Sundays) still fascinates and puzzles me in equal measures. Yet it's a remarkably pleasant way to spend 45 minutes each week in the company of these endearing fraternity brothers and sorority sisters. "Tour de France" (ITV-4, daily) is still the best highlights coverage to be found anywhere. 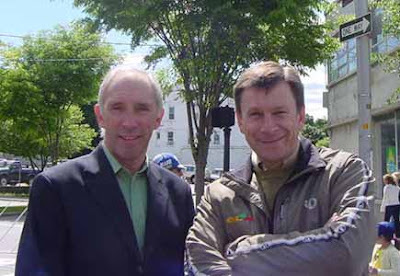 Phil Liggett, Paul Sherwen, Ned Boulting and Chris Boardman always put together quality commentary and analysis, and constantly interesting background features. Essential viewing which also does not shy away from the controversial issues which overshadow the sport of cycling. Just popped in for a quick post before I head off once again on my marathon hospital visiting journey. Well, here's the good news. Mum doesn't have any heart disease and even though she had a mild heart attack, there was no damage done and she's feeling good. I think you can guess her choice. There have been several mess-ups and mistakes during the last ten days - some amusing, but others which were so frightening and life-threatening that I really wouldn't want her spending another day in there. EDIT: We'll have to wait till Monday till this is resolved! Checked the forthcoming French releases on www.fnac.com today and discovered that the end of August will see the release of three albums I'm very interested in hearing. All of them just in time for my trip to Nice in September so there is a strong possibility I'll end up buying all three, well, if they're good enough of course! 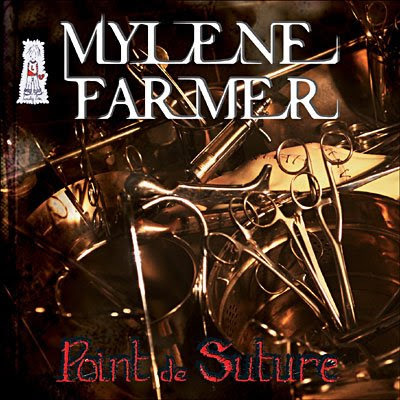 A Mylene Farmer album is always an event, to say the least, and it's been three years since the (IMHO) disappointing - by her exceptional standards - "Avant Que L'Ombre" which has been gathering dust in my CD rack as I haven't played it for a while. The first single from the new album, "Dégénération" hasn't really excited me in the way that a lot of her past material has, but maybe it just needs time to grow on me. 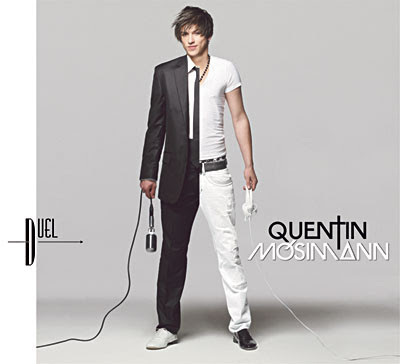 Star Academy 7 winner Quentin Mosimann finally gets around to releasing his debut - double! - album on 18.08.08 and he also has his own official blog at http://quentin.over-blog.com/ Is it just me or does he look a tiny little bit like Pete Wentz from Fall Out Boy in some of his new photos? Finally, I've been a big fan of Sofia Essaïdi since her debut album "Mon Cabaret". 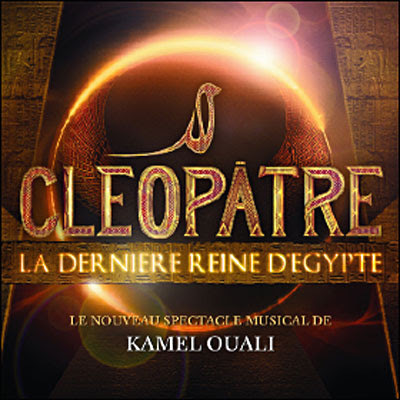 She now has the leading role in Kamel Ouali's musical "Cleopâtre" and should at last get the recognition she deserves in France. The soundtrack album is due out at the end of August and fingers crossed it'll be as good as the "Le Roi Soleil" soundtrack which I bought in Nice three years ago and which I couldn't stop playing for months, you'd have thought it was glued inside my CD player. Day six of my mum's prolonged stay in hospital, and the novelty of life in the cardiology ward is beginning to wear off. Mind-numbing boredom, obsessive blood-testing, daily attempts at so called "food" (but not as we know it) and excessive sleep disturbances are making her and her fellow patients extremely stir crazy. Still, it's another day towards her returning home...hopefully sooner rather than later, once all those necessary tests are completed and resolved, and at least she'll get some decent food here! Another day gone by in a blur. At work all day, then briefly back home for dinner, then the hospital run to visit mum - 3 hours 45 minutes tonight, including visiting hour. The patient is still in good form, and in no pain, but certain tests etc need to be followed through so she may remain in the cardiology ward for a little while yet. All being well, she should be home by the weekend. Despite limited leisure time I'm still blogging because I enjoy it, even if the news isn't always good these days. I'm also excited about the return of two of my favourite bloggers -Poster Girl (http://poppostergirl.blogspot.com/) and Acer Ben's Pop Unlimited (http://popunlimited.blogspot.com/), both wonderful, great to have you both back in blog-land! 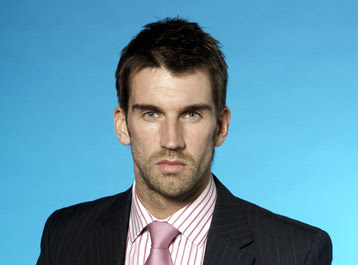 Also a big welcome back to Mick a.k.a Tracklister (http://tracklister.blogspot.com) - missed you lots. Jennie Let Me Love You - E.M.D: if Swedish press stories are to believed, their days might be numbered - blame Danny's growing international solo success - so enjoy them while you can. Make It Mine/I'm Yours/The Dynamo of Volition - Jason Mraz: someone I've missed out on and wasn't really aware of till "I'm Yours" totally charmed me. Got his new album, very good. Makes mental note to check out back catalogue. Love Is Noise - The Verve: a long-awaited comeback, but for once, this is one well worth shouting about. Modern and lively, and even if it's not "Bitter Sweet Symphony" standard, it's still better than most stuff at the moment. Sanningen - Linda Bengtzing: when i first heard this, I didn't even realise it was her. Strong pop music which those Swedes do so well. Beggin' - Madcon: This is old news by now of course (typical Britain, last to discover anything) but this may finally go big here as it's getting lots of airplay on "The Box". 42/Cemeteries of London/Viva La Vida - Coldplay: yep. Still here, and still loving them. Firstly, as you know I tend to stay away from really personal stuff on here. I'm a very private person (although I'm well aware of the contradiction between that and the need to blog to the world!) and I'd rather keep the blog lightweight and fun. However, I need to say that this has been a very surreal and shocking weekend for me. My mum was admitted to hospital on Thursday for a minor operation on Friday, which she seemed to come through successfully. Yesterday she was told that during the operation, she had suffered a mild heart attack, and had now to be transferred to the cardiology ward for tests, monitoring and treatment. The patient herself is in reasonably high spirits and still boasting her unique sense of humour which is getting her through the endless boredom of day to day hospital life, although she is becoming frustrated with the hospital's obsession with the numerous daily blood tests and other procedures which need to be carried out before she can return home. Her emotional strength is completely inspirational. The hospital is a two hour round trip from home by public transport (I don't drive) even though our local hospital is only five minutes away, the usual red tape and politics mean that she has to remain there until the tests and treatment is complete. It doesn't matter though: every second of the journey is worth it just to see her again. I just want her home, but I'm sensible enough to realise that she is in the right place at the moment. At visiting time she told me to go home and do 'normality', so that's what I'm doing. Even the most boring housework is good therapy at the moment. I thought it would also be a good time to go back to the blog, although normal service won't really be resumed for a while here. As ever, I've had my trusty iPod with me on these long journeys to and from hospital, so I've managed to get this week's playlist together and that's coming next. Just popped in to say that I won't be posting anything on here for the next few days due to some personal stuff, which means that life's going to get a bit hectic between now and Saturday. All being well I should be back on here on Saturday night. Summer in Sweden means various "folkpark" tours in which various artists get together and tour the country during July and August. One of the best-known is Lasse Holm's "Diggiloo" which is described as a mix of humour, rock, schlager and pop. This year's line-up includes Nanne Grönvall, Lasse Holm, Lotta Engberg, Molly Sandén, Linda Bengtzing and ....big fanfare....Måns Zelmerlöw! The tour has kicked off and will run until 17.08.08. This might be quite a wise move for Måns as this tour plays to big audiences and last year's tour was described as the most popular of all the summer tours. Maybe he'll do a solo tour after the release of his next album, due for release before the end of this year. Linda Bengtzing (pictured above, photo courtesy of Aftonbladet) has certainly had a drastic image change over the last few months - firstly cutting her hair and now she's dyed it blonde! She should also do very well on the Diggiloo tour - she's certainly a lively performer. Her new single "Sanningen" is very good and is getting lots of airplay on Rix FM at the moment. I have just realised that there were a few shows I missed out of the May-June roundup, so here they are. 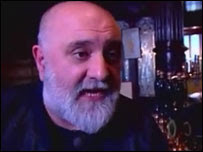 "Alexei Sayle’s Liverpool" (BBC-2, Fridays) was a three week personal journey by the Liverpudlian comedian around various aspects of his home city, past and present. It was a warm and fascinating series, I only wish it had gone on for longer than three weeks. The only problem is that, like many other showbiz-Scousers, he left his home city behind to seek fame - but he dropped a few hints during the final show that he might just return home someday. "Jonathan Dimbleby’s Russia" (BBC-2, Sundays) was another too-short series: given the size of the country he was exploring, he could have gone on for months and I’d still have enjoyed every minute of it. Excellent stuff, I love this kind of documentary-travelogue and it’s the type of thing the BBC should be doing more of. Finally, a fond farewell to "The Apprentice" (BBC-1, Wednesdays) even if, as usual, Sir Alan got it wrong yet again by finally choosing...Lee McQueen (pictured above), the man with the gift of the gab, and not even being ever so slightly economical with the truth in his CV at the interview phase could stop him. Claire - or "Badger Part 2" - should have got it. Maybe Sir A is just scared of strong women. I couldn’t understand why ice-queen Helene and relentless "I’m 24!" Alex made it as far as the final either. Only Lucinda - "too zany" for Sir A - had the kind of honesty and independent spirit lacking in most of this year’s wannabe apprentices. But who would really want the job anyway. The more I watch this programme, which I still love by the way, the more I realise that it’s the fame, not the job, that is the end goal. How about a Dead or Alive song that isn't "You Spin Me Round"? http://www.youtube.com/watch?v=suV-HqCUrjo&feature=related. Is there no end to the wonders of YouTube? OK, it's not really retro (2002) but I had this urge tonight to feature David Bisbal back in the day when he had that lovely curly hair (you know by now what I'm like when it comes to curly-haired men!!!!) and I always go a bit wobbly at the sight of David singing that song on the beach. Well it is summer (!) even if the weather outside my home suggests otherwise....anyway I thought it would be appropriate for a summer evening! Back in 1986 - when many of you hadn't even been born - your humble blogger sustained a back injury which developed into a serious illness which resulted in me being confined to the sick bed for virtually the first half of that year, with nothing to do but listen to the radio and not much else. I don't remember 1986 as a vintage year for music - Pet Shop Boys and A-ha aside - but I do fondly remember the Shop Assistants from John Peel's show. Once again YouTube delivers: (http://www.youtube.com/watch?v=wU9fZkXHqns) this underrated band who really should have been massive! Bit of old goth stuff to start with tonight. I wasn't really a fan till "This Corrosion" (see it at http://www.youtube.com/watch?v=boinZ5BIlkw) which I always saw as a companion piece to "Dominion" (http://www.youtube.com/watch?v=qWvOHT0zfXY) and after that, I lost interest again. Patricia Morrison was part of the band at that time: I always saw her as one of those cool goth-girls (ditto Toni Halliday) whom I wanted to look like, but didn't quite get there. OK, so it's several weeks since I was in Riga and bought this...but finally, here's the review. From the crude cover art to the eccentric musical arrangements, everything about the latest album by Latvia’s top pop/rock band screams ‘experimental’. "Cela Dziesma" opens the album and starts slowly, and builds like a fairground ride. The 2nd single, "Ja Tikai Uz Manu Tu Paskakitos" took a while to grow on me but is now more instant, although has a kind of art-rock vibe about it. "Bronza" has a bit of a motor racing theme (am I right?) and again takes a few listens to get into. It’s one of my favourite tracks although it does go off on a tangent and dare I say Renars’ vocals sound a bit weird. "Atliek Nosargat" - which I’ve read somewhere is to be the third single - starts off sounding like a tougher "Maybe" but Renars’ falsetto is sounding like a cross between Prince and Thom Yorke. I couldn’t really get into this one though, for one reason only - it lacks a hook. "Siama" is a rambling Eastern-style instrumental, whilst "Es Jau Naku" has an almost folk-song feel. The next track, "Ai Nu Lai" is the Latvian-language version of "And I Lie" which was the first single released from the album, although - and this is weird - that version is not on this album. Nevertheless the Latvian version is still appealing, although it was a bit of a shock in the beginning as it’s so different from their usual style. "Par Podu" is a kind of psychedelic nursery rhyme singalong, and then we have the title track - lyrical, experimental, offbeat and even has a rap by producer Gustavo - and this time the experiment works. Renars’ vocals are commanding over the (off-) beats on "Laikam" - sometimes this works but sometimes it doesn’t. "Vakardienas Trakums" has a little glimmer of the old Prata Vetra, before they went...weird. Again I quite like this track, which kicks off with a tango-style rhythm. "Bedz" is back to the warped electro beats which personify the new Prata Vetra. This might become a live favourite though. I wish some of the tracks were stripped of the bleeps and studio trickery and I might have liked the album more. The album ends with "Pamodini Mani" which has Renars singing quietly rather than in his usual excitable falsetto. This is quite a charming end to the album. The verdict: It’s not a bad album, but the main problem with "Tur Kaut...." is that it’s different, but it’s so different that it isn’t the Prata Vetra we know and love anymore. ...but if all you Saucedo fans out there will be expecting him to sing then you'll be disappointed. That's because he'll be... dancing. Yes, Danny and Jeanette Carlsson will be representing Sweden at the second Eurovision Dance Contest which takes place in Glasgow on 6th September. Week 2 of this year's singalong. If the young female quota in the audience had drastically risen this week then there was a very good reason for this....E.M.D. !! Yes, Sweden's hottest new boy band, made up of former Idol contestants Danny and the other two, Erik and Matthias, (who look so alike I still can't tell them apart! ), were at Skansen to perform "Jennie Let Me Love You". They certainly looked the part, dressed all in black with contrasting white braces. Following this they led the crowd in a highly topical football themed singalong to "Viva Espana" and kicked footballs into the audience. This week's headliner was Magnus Uggla, Swedish rock/pop legend. There's not much you can say about Mr Uggla - you always know what you're going to get from him, anthemic crowd-pleasing songs so needless to say this was a very appropriate setting. He performed his latest hit "Parlor åt Svin". Otherwise, the usual mixed bag including Peter Joback and Eva Dahlgren duetting - Peter, you were (and probably still is) a good-looking boy but what have you done to yourself with those glasses and that facial hair? The "people's favourite" Sanna Nielsen gave us an acoustic "Empty Room" which remains a very popular song. A new name to us was Anton Zetterholm, who looks like becoming a big star in musical theatre if his performance of "Everything That I Am" (written by Phil Collins) was anything to go by. Quite a good show on Tuesday - but next week's should be even better as guests include Brolle, Amanda Jenssen and Maria Haukaas Storeng. 1. Parking myself in front of the TV from Saturday onwards to watch the Tour de France and hope it doesn't disgrace itself any further, if that's possible. 2. Dodging even more rain than we've been having for the last few weeks. 3. Now that I'm over that recent scary chronic fatigue thing I'm now attempting to get fit/lose weight for forthcoming trip to Nice. This includes re-acquainting myself with the step machine and making sure I don't exercise to Scooter or "Something Kinda Oooh", both of which I once made the mistake of playing on the iPod whilst walking up that great big hill to work in the morning. No offence to Scooter or Girls Aloud, both firm favourites at EuropeCrazy HQ but it's really not a good idea folks. This fitness kick also means early nights during the week, so no after-midnight blogging for me (except on Saturdays). 4. Continuing my so-called gardening, but so far this week, 'rain stopped play' Wimbledon-style. Anyway I'm off to bed now.